The main lecture of this event. Writer Ian Buruma will talk about the political uses of history. While Japanese nationalists still justify the Japanese war in Asia by claiming that Japan liberated fellow Asian peoples from Western colonialism, the Dutch perception has historically been the opposite. 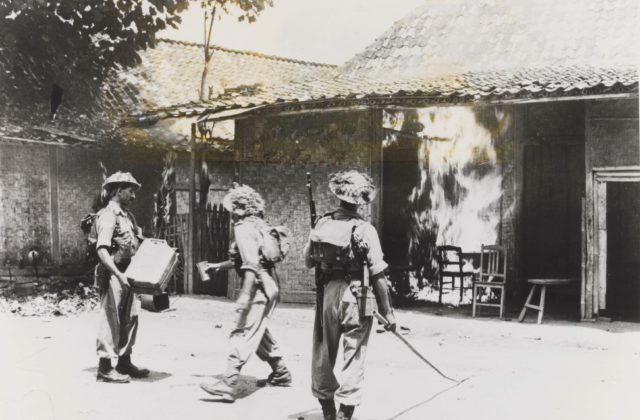 After World War Two, Dutch soldiers were sent to the Indonesian Archipelago, supposedly to fight the Indonesian collaborators of Japanese fascism – Sukarno as a kind of Asian counterpart of the Dutch Nazi-leader Anton Mussert. Although few Dutch people would still subscribe to this view, the brutal Japanese occupation is still used to mitigate Dutch feelings of colonial guilt. The anti-Japanese feelings in the Netherlands, in the second half of the 20th century, were therefore perhaps also more extreme than in other countries. The lecture will shed light on the Japanese and Dutch perceptions of Indonesia during and after the war. A comparative political analysis of this phenomenon is advantageous to avoid out of date theories about culture and national character. The second talk by NIAS theme group researchers Esther Captain and Pierre Asselin. Ian Buruma studied Sinology in Leiden and film in Tokyo. He was editor of culture for The Far Eastern Review in Hong Kong, editor of foreign affairs for The Spectator in London, and editor of The New York Review of Books. His articles appear in magazines and newspapers around the world. He writes a monthly column for Project Syndicate. His latest book is A Tokyo Romance – Dutch title: Tokyo mon amour. Also read the interview with NIAS director Jan Willem Duyvendak on the political uses of history, the relationship between scholarship and the background of the researchers, and inviting Ian Buruma. You can sign up for this program for free via the website of SPUI25. If you subscribe for the program we count on your presence. If you are unable to attend, please let us know via spui25@uva.nl | T: +31 (0)20 525 8142.